Amy Bright Unfried's bronze sculpture celebrates the variety and beauty of the human form, including women, men and children of all races. Using a classical realist style with modern elements, she seeks to capture not so much the anecdotal quality of a moment as what is timeless and eternal in the moment. She works primarily from life models, with attention to anatomic accuracy, lifelike grace, and mood. She enjoys working on the expressive details of faces, hands, feet and hair, as well as other details such as flowers, drapery, and, in the case of seated figures, a variety of chairs. Sometimes small creatures (such as butterflies, birds, turtles and dragonflies) make appearances. She often combines different colors of patina in a single piece for a polychrome effect. The works range from small and medium-sized tabletop pieces to life size. She has completed commissions for private clients as well as for public placements. Unfried’s work has been exhibited extensively since 1991 and has won many awards. 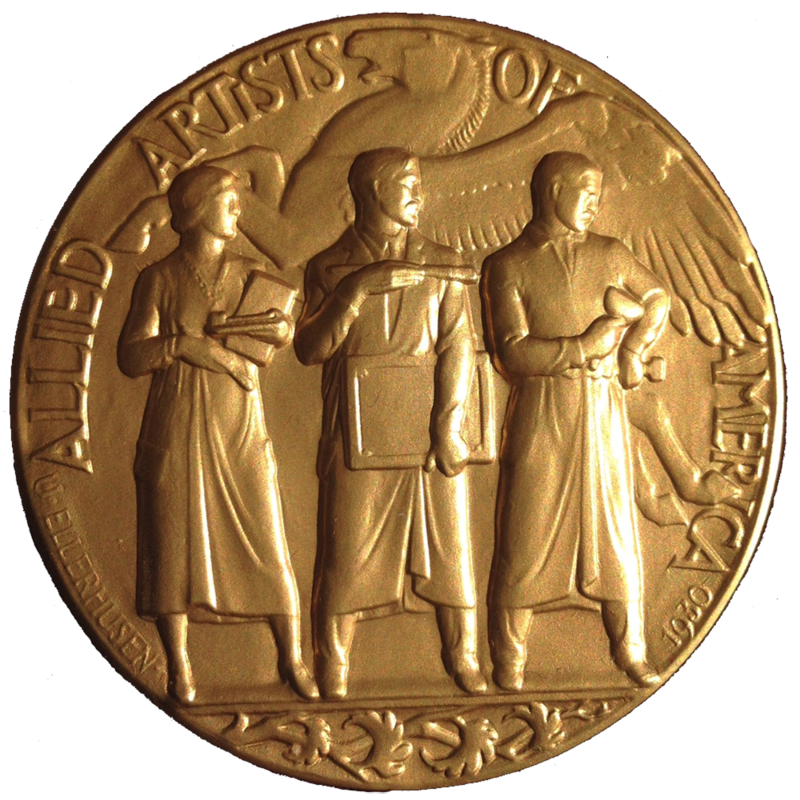 Her memberships, besides Allied Artists, include the Catharine Lorillard Wolfe Art Club, the National Association of Women Artists, the American Artists Professional League, the Pen and Brush Club, and the National Arts Club.